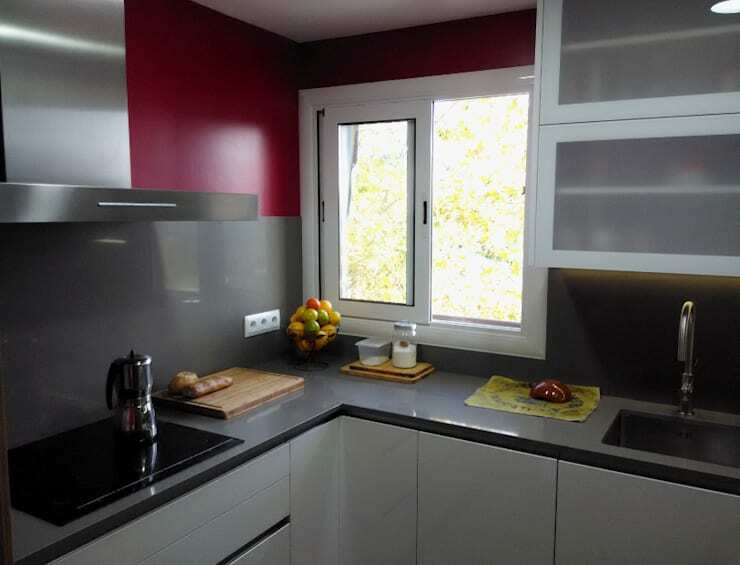 After many years, the time often comes to give your kitchen an update due to its faded appearance, or maybe you need to change it because it has become too for a growing family, or change could be imminent simple because some furniture or features were damaged. 1. 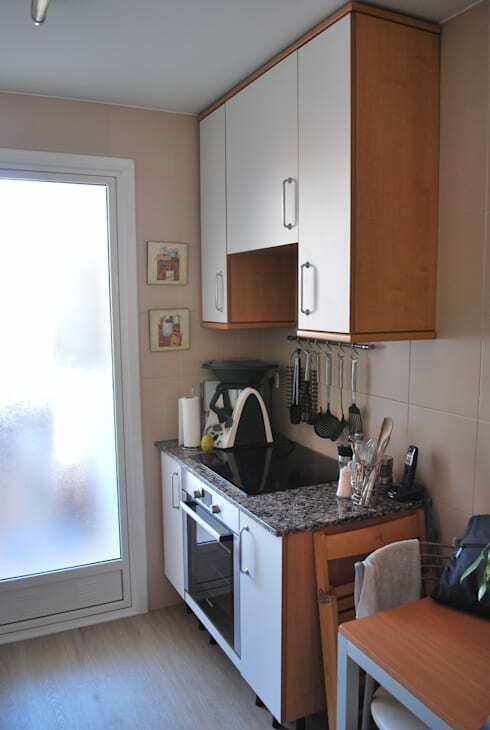 Optimize space, since the functioning of your kitchen will depend on the management of space, light, and working plans. 2. Choose appropriate furniture. This relates to style but above all to dimensions, in order to avoid disappointments upon installation. 3. 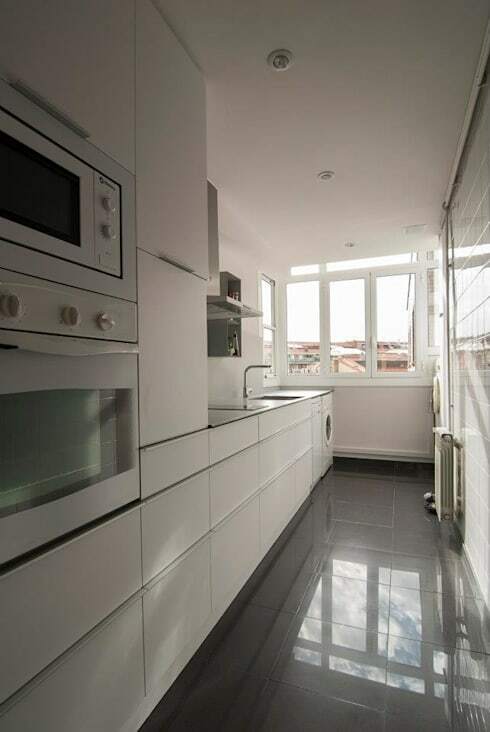 Be sure of the style you want, because once mounted, the kitchen will not be changed. 4. Consider the type of flooring and wall cladding. Keep in mind the humidity of the space, and ensure proper ventilation. There are several types of coatings, both for floors and for walls on the market these days. Choose the one most suitable for you, considering convenience and maintenance. When you have covered all these considerations, look at your kitchen with a different eye, targeted for change. Let's begin! The first step was to remove the barriers that existed between the entrance of natural light and the rest of the room. The door and the window were eliminated, creating a new space which is brighter and better exploited. 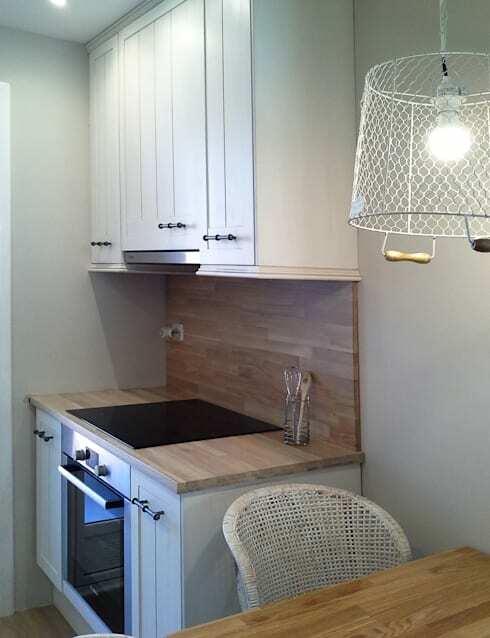 The main change, however, is found in the decor, now featuring a light for a much more modern and contemporary look which has nothing to do with the old kitchen. We've mentioned the main kitchen area before, but now we focus on the dining area in the kitchen space. Tiled white walls were obsolete, moreover, after so many years is difficult to keep them in a clean condition, especially because of the fat that accumulates in the joints. There was an absolute need for a radical transformation. This is the result! 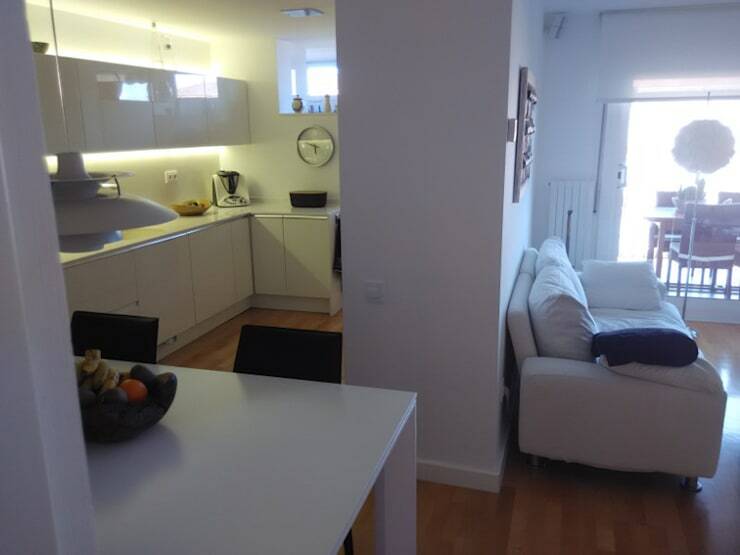 Here, we have a perspective from the opposite side of the room and notice that a wall had been removed so the kitchen communicates with the living room and looks more spacious and bright. 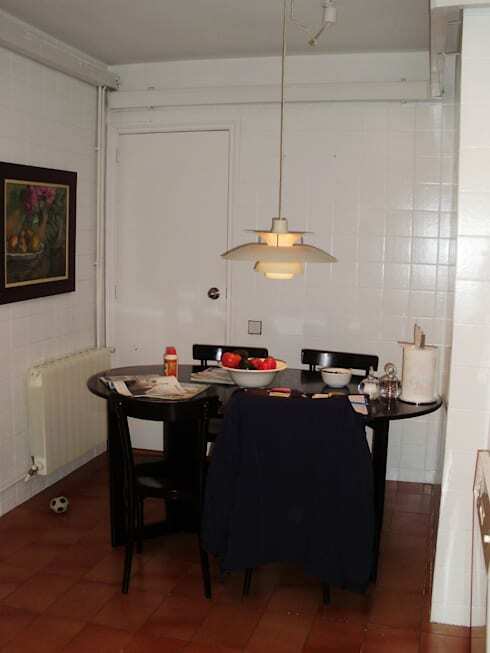 The dining table in the foreground is in an intermediate space between the rooms. The wall covering has been removed and has been replaced by a marble wall, which is more elegant and refined. The lighting was produced by spotlights installed on the ceiling that cause the space to feel warmer and more welcoming. Sometimes the amount of things that we are able to accumulate in small spaces is truly amazing. Thus, unwittingly, we are enveloped in a terrible mess which we are not able to deal with. Furniture and appliances have separate arrangements that do not seem to have anything to do with what's around it. There is no unique style nor a modicum of consistency in this environment. Even the window has been oppressed and from it the light cannot penetrate the interior. The window had been released for better access and now it can provide more light to the environment. The project had placed the focus on the lining of the walls, which now feature the grey marble as a splash guard and a gritty colour at the top. Of course, all the furniture, appliances, and the countertop have been replaced with other more elegant and modern alternatives. … to a modern space filled with light! If the problem was the dividing wall that included the compartment, they might as well remove it! So it was done! 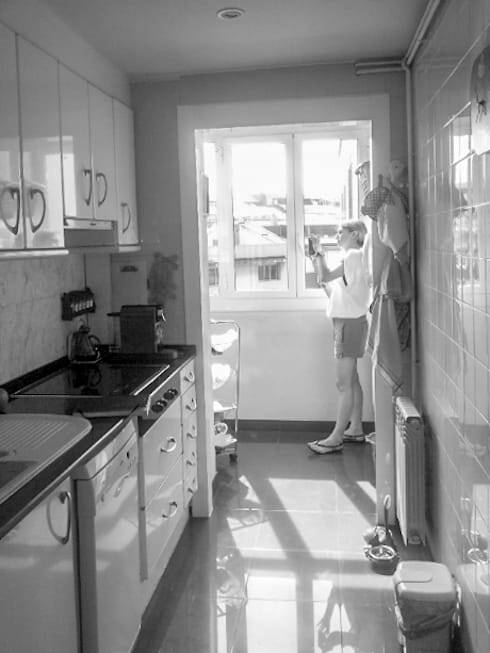 The wall was removed, creating a unique space for any kitchen area, including the end closest to the windows, where the decor extends uniformly, giving a feeling of order and brightness for an elegant setting which is modern and full of light. 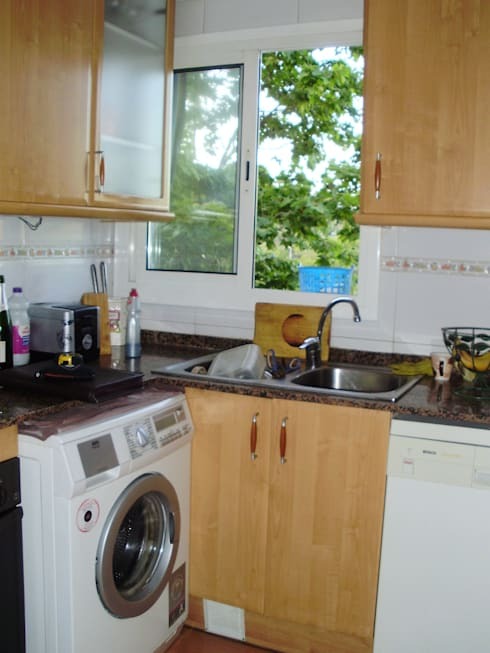 This shows us a basic kitchen with a small size, as it can be found in many of our homes. However, even here there was a need for a change that would update the space and make it functional. The tiles on the wall are now out of fashion, while the warm colours of the furniture have the opposite effect. Light seems not to be a problem, but overall a change was necessary. Here we can see that quite a change occurred! A real transformation took place, albeit without distorting the distribution or the furniture as a whole. 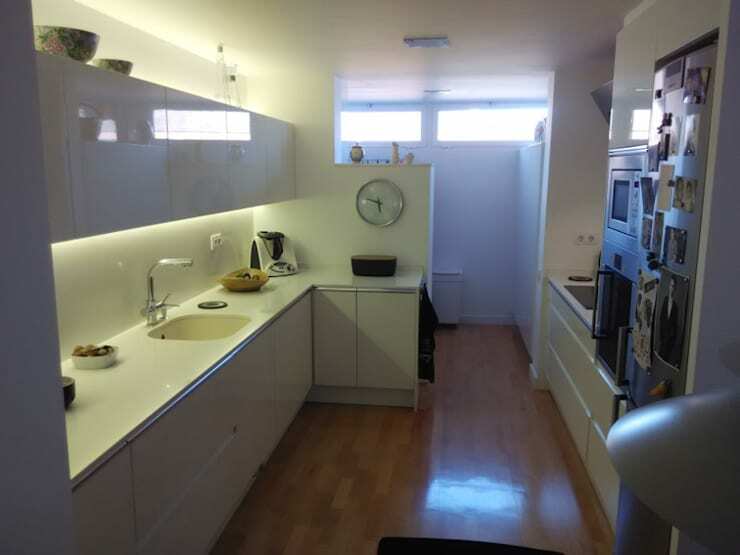 At the centre of the ceiling, a hood had been inserted, a granite countertop has been replaced by another natural wood one which continues to protect the wall, while the old doors were replaced with other much more elegant and modern options. Finally, the tiles have been removed and the wall shines with a cream-coloured tint. A simple but cathartic change! 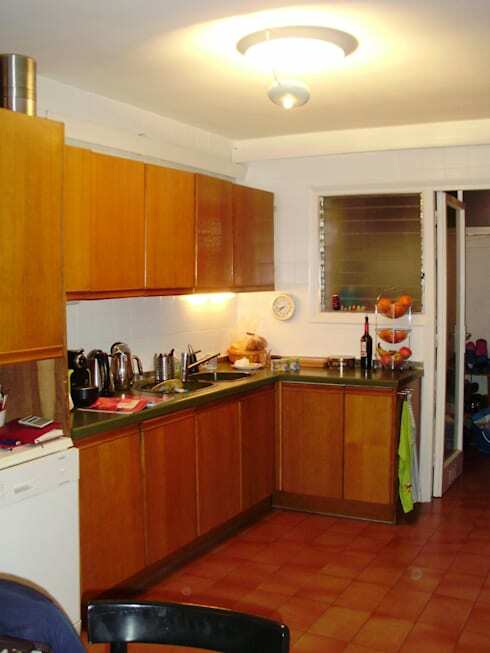 Now, for a bit more detailed project, take a look at: This transformed kitchen! Did you find these tips helpful and the examples inspirational? Let us know in the comments!